Past-President : T. Asakura ; Treasurer : G.T. Sincerbox. The 2000 Galileo Galilei Award has been awarded to Vladimir P. Lukin of Institute of Atmospheric Optics of the Russian Academy of Sciences, Tomsk, Russia, in recognition of his scientific contributions on light propagation through turbulent media and on adaptive optics, as well as their applications. The Award, established in 1993, is awarded annually for outstanding contributions to the field of optics achieved under comparatively unfavorable circumstances regarding the economic and social conditions and the access to scientific facilities and sources of information. It consist of the Galileo Galilei Medal, donated by the Societa Italiana di Ottica e Fotonica, funding of registration and approved local expenses at a major ICO Meeting where the Awardee will give a presentation based on his achievements, and appropriate measures of ICO to support the future activities of the winner. The ICO Galileo Galilei Award Subcommittee for 2000-2002 consists of M.L. Calvo, chair ; A. Consortini, J. Ojeda-Castañeda, Y. Ichioka, and M.J. Yzuel. Lukin Vladimir received his Diploma in Physics from Tomsk State University (TSU) Tomsk, Russia, in 1970. From 1971 to 1980 he pioneered theory and experiments on optical wave phase fluctuations in a turbulent atmosphere. He calculated the statistical characteristics of phase fluctuations based on atmospheric turbulence spectrum models, accounting for the finiteness of the turubulence outer scale value. In 1975 he obtained his degree of Candidate of Science in Physics and Mathematic. He obtained degree of Doctor of Sciences (Physic and Mathematics) in 1986 at the Institute for Atmospheric Optics (IAO) of the Russian Academy of Sciences. 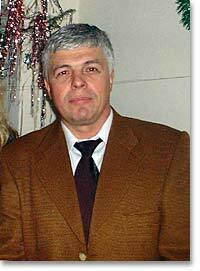 In 1992 he was appointed a Professor at the Department for Radiophysics (Optical and Electronic Systems), TSU. His present status at IAO is director of the Wave Propagation Division. He still is a part time Professor at TSU and an advisor for graduate students, presently acting as the advisor for four scientists studying towards the Candidate of Sciences degree and one scientist seeking the title of Doctor of Science. At TSU, he teaches two lecture courses: "Opto-Electronic Systems Design", "Adaptive Optics for Atmospheric Applications". His principal field of work is the application of functional analysis and stochastic field theory to problems in electromagnetic waves propagation. His main current interests are the the application of optical wave phase fluctuations theory for design and algorithms of optical wave phasemeters adapted to atmospheric turbulence. V.Lukin has created several technical means, including a heterodyne interferometer, and a meter of the shift of the image center of gravity, for measuring the phase fluctuations of optical waves. The experiments made in the real atmosphere along horizontal and slanted paths validated his theoretical conclusions about the necessity to take into account the atmospheric turbulence spectrum departure from the Kolmogorov-Obukhov model in the turbulence outer scale range. Since 1980, together with Tartakovski, V.Lukin developed the mathematical apparatus for a clear definition of the concept of optical wave phase in the case when the field intensity strongly varies. Based on these theoretical tools, experimental devices suitable for strong intensity fluctuation situations were developed. In addition, wave front reconstruction methods have been devised for data obtained with the two main categories of interferometers, shearing interferometers and plane reference wave interferometers. In the late 1980ies, V.P.Lukin pointed out the importance of using the tools developed for "strong" intensity fluctuations whenever separate or multiple bright and dark regions, or "speckles," appear in the field. The existence of "zeroes" in the optical field intensity complicates the solution of the problem of phase reconstruction from the optical field, mainly because of the inherent associated ambiguity. It proved necessary to develop a new mathematical apparatus which makes it possible to describe the so-called "phase dislocations" in the optical wave. The optical wave phase obtained as a result of reconstruction is found to be an irregular function carrying little useable information. A pressing problem is currently a search for a more adequate description of the optical wave fluctuating phase in those cases. Finally, the results of Prof.V.Lukin's previous experiments of the measurement of phase fluctuations of optical waves in the atmosphere accompanied by the measurements of basic meteorological parameters of the atmosphere point to the importance of accounting for finiteness of the value of outer scale of atmospheric turbulence. He found evidence of variability of this scale of turbulence. A set of experiments in the atmosphere can be explained only on the basis atmospheric spectra that deviate from the Kolmogorov-Obukhov law and explicitly introduce a finite value for the outer scale turbulence. In recent years all the above-mentioned problems became especially useful for application to adaptive optics. In the period of 1979-1983, V.P. Lukin made the first calculations and experiments for using lasers and create reference beacons for adaptive systems applications. The papers were published in Russian and translated into English in the journals "Kvantum Electronika" in 1980, 1981, 1983 and 1988. This work was genuinely the first approach to laser guide star experiments. Dr.V.Lukin was therefore a pioneer in this area of investigation. He conducted the first experiments for monitoring stars using photoelectronic devices and obtained new results for the vertical distribution of the atmospheric turbulence parameters. Prof. Lukin has published over 190 research papers in internationally reputed journals. A selection of major papers and review articles follows. M.S.Belen'kii, V.P.Lukin, V.L.Mironov, V.V.Pokasov, Coherence of laser radiation in atmosphere. Novosibirsk: Nauka, 1985, 175p. V.Belov, Yu.Balin, V.Lukin, et al., Signal and noise in laser ranging. Moscow: Radio i Svjaz, 1985, 264p. V.P.Lukin, Atmospheric adaptive optics. Novosibirsk: Nauka, 1986, 248p. Signal and noise in laser ranging /Journal of Soviet laser research, v.8, No4, 1987, p.283-426. Nonlinear optical effects in atmosphere, Institute of Atmospheric Optics, Tomsk, 1987. E.A.Vitrichenko, V.P.Lukin, L.A.Puchnoy, V.A.Tartakowski, The Problems of Optical Testing, Novosibirsk: Nauka, 1990, 350p. V.P.Lukin, Atmospheric Adaptive Optics, SPIE Press Volume PM 23, 1996. V.P.Lukin, B.V.Fortes, Investigations of efficiency for adaptive formation of laser beams and images in turbulent atmosphere, Tomsk, 1999. 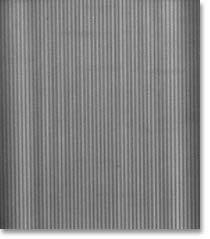 These fringes (courtesy D. Joyeux, Institut d'Optique) differ from usual interference fringes by the wavelength used: they were obtained at wavelength 13.9 nm using a Fresnel bi-mirror setup on the LURE synchrotron facility at Orsay, France. Wavelength range extension is one of the characteristic evolutions of the field of optics. While this particular result originates from his own laboratory, the ICO Secretary welcomes for publication in this Newsletter any visual result of recent experiments illustrating the increasing diversity of the optics discipline. Three lines of explanation are requested. The 2000 ICTP/ICO award has been announced: the award is shared by two winners, Dr Arashimid Nahal from the Institute for Advanced Studies in Basic Sciences, Zanjan, Iran and Dr Fernando Perez Quintian from Universidad de Buenos Aires, Argentina. Both were attending the OSA-cosponsored ICTP Winter School on Spectroscopy at Trieste when the decision was made, and the award was presented during the closing session of the event. The award was created jointly in 1999 by the International Center for Theoretical Physics, Trieste, Italy, and by the International Commission for Optics, to recognize significant achievements in optics done by scientists aged less than 40 and conducting research in developing countries. The next issue of this Newsletter will provide more detail. The ICO Newsletter was first published in 1989. In its first form, it was inserted in the middle of Optics and Photonics News, the Optical Society of America membership magazine. From January 2001, the full paper version of the ICO Newsletter is still sent to the OSA members together with OPN, but is no more inserted as middle pages. Bulk mailing to the ICO member territories for local distribution to their own membership proceeds as usual: member territories wishing to change the quantities they receive are invited to contact the ICO Secretary. In addition, the full text of the Newsletter is posted on the ICO web page, maintained for ICO by SPIE - the International Society for Optical Engineering. Both the IEEE LEOS Newsletter and OE magazine, the new SPIE magazine, publish summaries of the Newsletter. The Newsletter can also be sent by e-mail upon request to the ICO Secretary. ICO gratefully acknowledges the continued support of its International Society Members IEEE/LEOS, OSA and SPIE for their considerable support in distributing the newsletter and thereby publicizing the ICO activities.